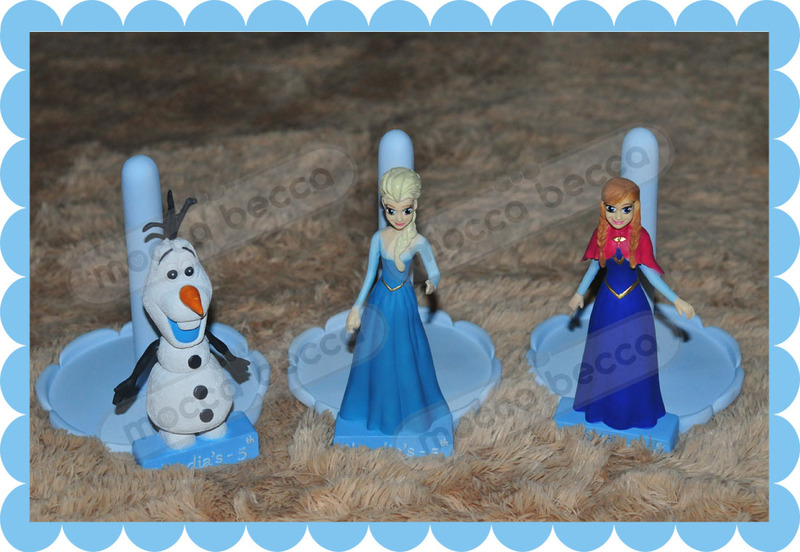 Ordered by mommy Veve, with request in Frozen theme (130 pax). High Quality Tissue roll holder (resin material). 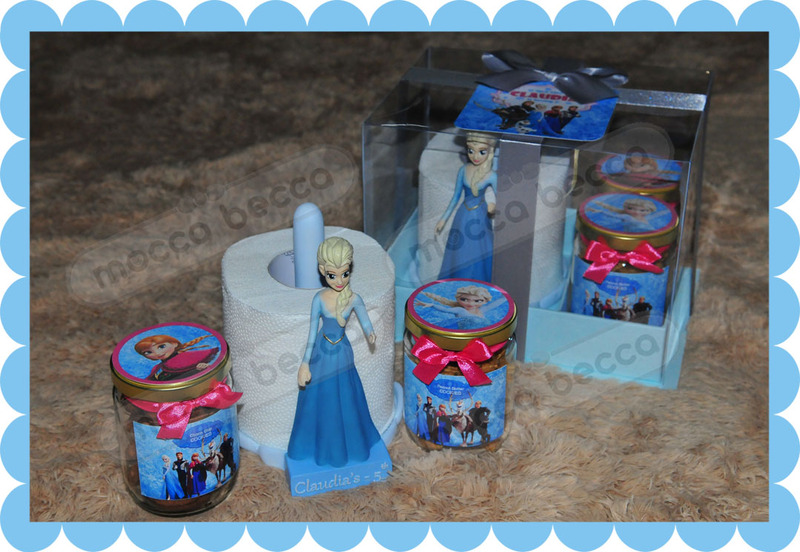 ELSA tissue roll holder + 1 glass jar choco chip cookies + 1 glass jar peanut butter cookies. 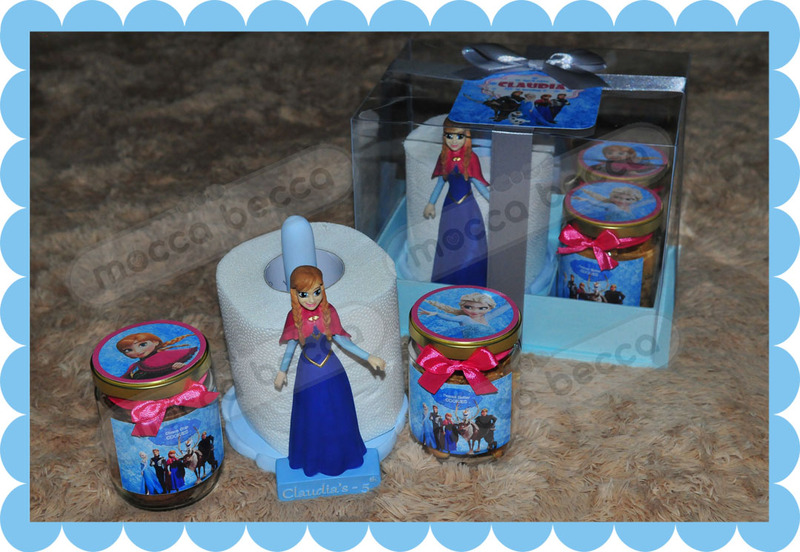 ANNA tissue roll holder + 1 glass jar choco chip cookies + 1 glass jar peanut butter cookies. 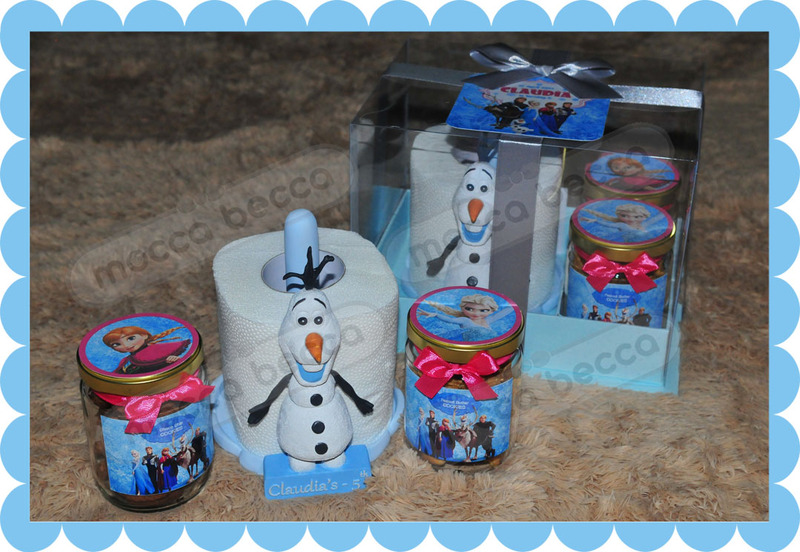 OLAF tissue roll holder + 1 glass jar choco chip cookies + 1 glass jar peanut butter cookies. 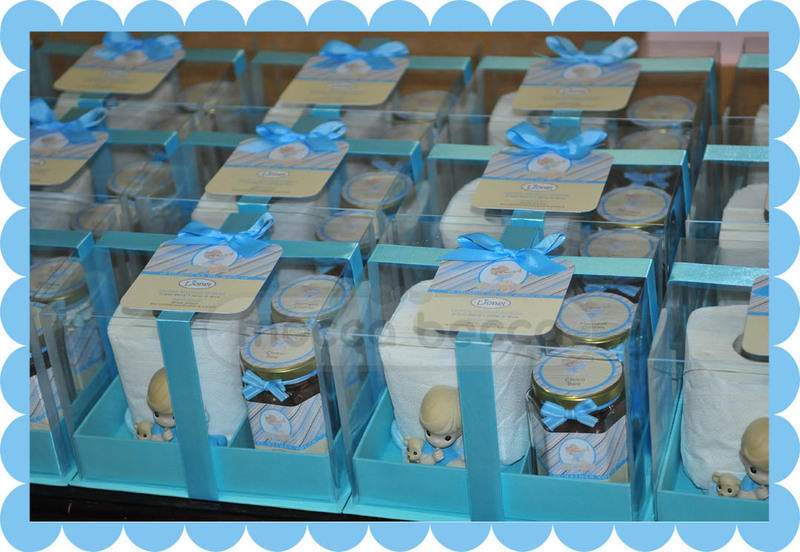 Lionel Nathan Yokom’s first month hampers. Ordered by mommy Julien, in precious moments boy theme. 1 glass jar cookies + 1 glass jar choco balls.